If you hear banging or knocking when you turn the tap on and off in your home, you could be straining pipes and copper fittings… and you could eventually wind up with a leak. It’s best to deal with the cause of the noise wherever you have access to the plumbing. Water hammer is a common cause of banging pipes. In plumbing where water pressure is high, shutting off the tap can cause the pressure to back up and jolt the pipe, a little like slamming on the brakes in your car. 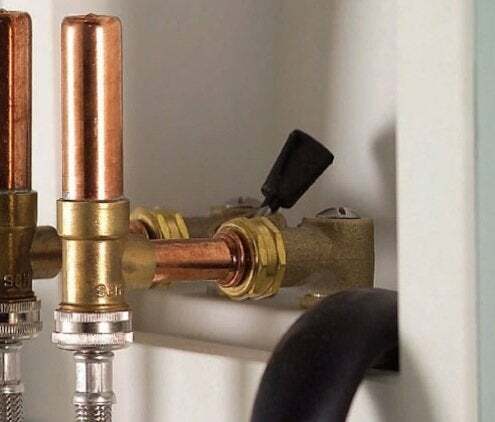 The jolt can be especially violent when a solenoid-controlled appliance like a washer or dishwasher shuts the tap since the shutoff happens instantaneously. Many homes come already equipped with water hammer arresters, which are small air chambers attached above the water line to absorb the pressure of the water as it’s shut off. Spiral-shaped water hammer arresters were also used years ago and you may still find them in older homes. Plumbing that’s not properly anchored to the framing can rub or bang on whatever’s nearby and cause a racket. Try pipe hangers. These plastic hooks hold the pipe off the framing and have a felt or rubber cushion to quiet things down.